A local group is calling attention to Gerrymandering, or the process of drawing congressional lines, and whether the practice is fair. 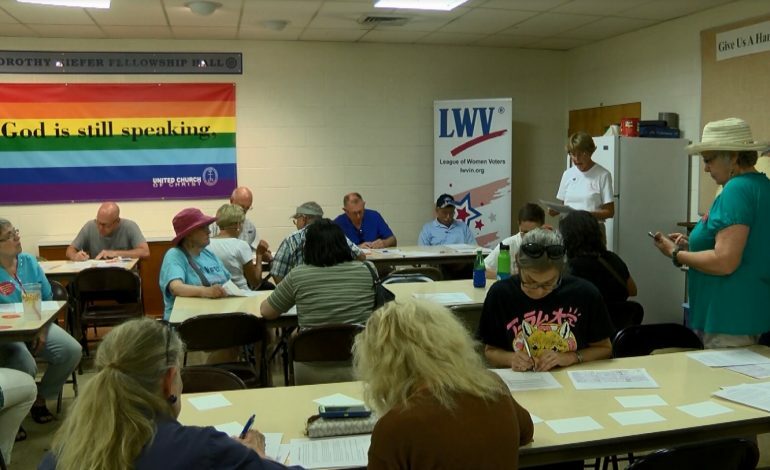 The League of Women Voters of Southwestern Indiana met for a unique event called Gerrymandering. It was aimed at giving everyone in the community, from all walks of life, the chance to learn about and improve the power of their votes. They could either walk along the boundary of the Indiana House District of Holli Sullivan and Ryan Hatfield, or meet at St. Lucas Hall to go over the way district lines are drawn. It was also meant to raise awareness for non-partisan district mapping. Indiana State voting rules allow lawmakers in power to draw voting districts. There are groups across the state pushing for non-partisan district drawing.